I’ve been invited to give a TED talk in May, admittedly, only a TEDx talk but nevertheless the idea of being on stage talking to 1000s of viewers, potentially millions, is nerve wracking for me. 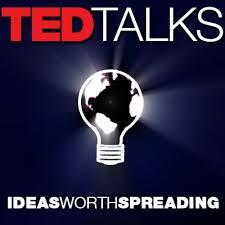 To get me in the picture, I have been watching some of the more popular TED talks already out there. Trouble is, every topic I think about has been presented already, and often very well. Nearly every angle about the good and bad effects of technology has been covered. The key is to make the narrative sound fresh and original and use your own research findings to make the points. Here is my first attempt at an outline. I want to talk about how smart technology makes us stupid and how simple technology makes us clever. The question is one of framing. Make technologies that do things for us and we forget how to do them ourselves. Design technologies that encourage people to make better decisions in their lives and enable them to be happier, more engaged and empowered. Every week there is a new book, blog or sound bite that espouses a view on how technology is making us, on the one hand, dumber, shallower, addicted, more alone, and overloaded, while on the other, it is assumed it can make us better informed, more connected, resourceful and more aware. Some argue that it is improving our brains, others that it is destroying our cognitive faculties. It seems many of us can’t write anymore, let alone remember our phone number. And yet a multitude of apps claim they can help us to make snap decisions, be more creative and have richer and more satisfying lives. An adjective that has been much bandied about, but in my view is well past its sell by date, is ‘smart’. From smart phones to smart cities, smart cars to smart meters, and smart homes to smart grids… Everywhere you look in the tech world, you see smart this, smart that… The list of smart gadgets is mind boggling. There are smart pillows that analyse your sleep and smart shoes that tell you to stop being lazy. 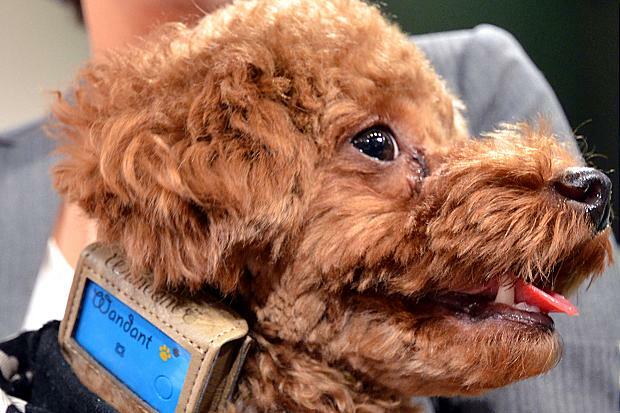 There is even a ‘smart dog’ Wandant device that tracks how far your pooch has walked and its stress levels. 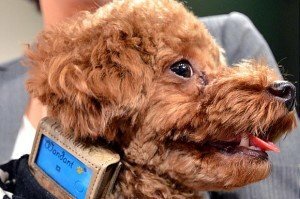 It claims to be “the world’s first obesity monitoring system for dogs” and, yes, it has a “smart-collar” that uses mobile phone sensor technology to do the monitoring and measuring. Moreover, those that act on our behalf can make us mentally lazy. Gadgets and apps in the form of cognitive aids, mean that we no longer practice certain skills, be they our multiplication tables, our map reading skills or are ability to remember birthdays, numbers or appointments. “I’ve lost my dart’s faculty” I joked to a colleague the other day, when trying to work out how much a meal split three ways would cost each of us. There is a worry that our increasing reliance on GPS/satnav to tell us where to go will mean we lose the ability to read proper maps – most of us only use ones with cars and people icons that jump along yellow moving road lines. How many of know how to use a compass? There is also the problem that we may soon lose our ability to remember numbers, lists, birthdays and so on. Gone are the days of reciting. So why does the relentless move to make technology smart persist? An article published last month in the Wall Street Journal by Evgeny Morozov, cleverly entitled “is smart making us dumb?’ splits technologies into bad smart and good smart. Bad smart includes gizmos that suppress behaviours that are considered undesirable, such as vibrating forks that tell us to not to eat so quickly, cars that tell us to drive slower because it is raining and toothbrushes that tell us to brush our teeth more. Good smart leaves us in control of our actions and where gadgets are designed to empower by providing the right kind of information at the right time – just enough to nudge us in the right direction. I was pleased to see that Evgeny Morozov mentioned one of our projects as an example of good smart – where we developed the lambent shopping handle that is intended to enhance decision-making by informing shoppers of the nutritional benefits and food miles (or other dimension someone cares about) using simple LEDs and smiley faces, representing social norms. Instant information presented in a playful and useful way. No overloading, no pressure and no atrophying of the brain. As our tongue in cheek video below shows it boils down to designing simple interfaces that can facilitate fast and frugal decision-making. Our philosophy is less is more and simple is powerful. That is how you can make people clever.